Minister for Youth and Sports Isaac Asiamah has charged thirty individuals who will be serving on various working committees to ensure they change the phase of Ghana sports for the better. 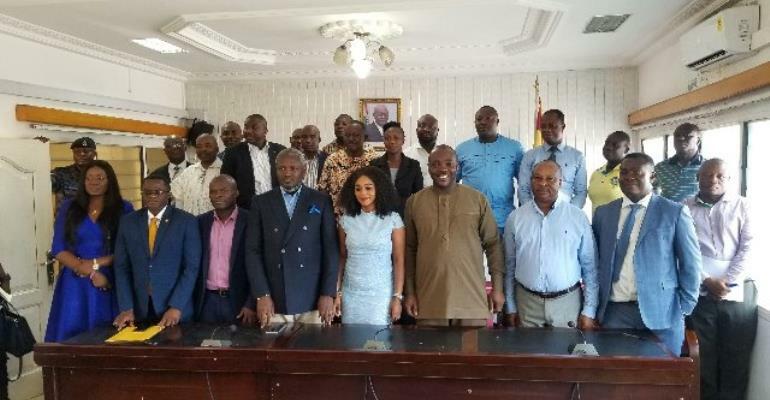 As Ghana steps up preparations to host 2023 All Africa Games and the 2019 International Tennis Federation and the Africa Table Tennis Federation Junior Circuit and Cadet Open Competitions in April, the minister deemed it necessary, in collaboration with all stakeholders to put together and inaugurate four working committees that will ensure the country’s successful organization and participation. The third committee which happens to be the International Games and Competitions Committee is an amalgamation of representatives from the Ministry of Youth and Sports, the National Sports Authority and the Ghana Olympic Committee. This team “will be responsible for the overall planning for Ghana’s preparation in all international games and competitions,” the minister said. Also as part of their terms of reference, the committee “will also consider and advise the Ministry on all requests by federations desiring to locally host and organize international competitions, including bilateral games.” Director-General of the National Sports Authority, Professor Peter Twumasi heads the International Games and Competitions Committee. Ghana will host the 2019 International Tennis Federation and the Africa Table Tennis Federation Junior Circuit and Cadet Open Competitions in April this year. A local organizing committee has thus been put in place to ensure a successful hosting and participation of the tournament. One of the terms of reference for the LOC is to “include in their final report a proposal to use the National Junior players to revive the game of table tennis in their respective schools.” The formation and inauguration of these four committees ultimately is to help in the vision of the Sports Ministry and by extension, government, of completing a paradigm shift in the organization and development of sports in Ghana.